The problem with changing consumers’ attitudes is that attitudes do not always predict behaviour. Many people like Rolex watches but will never in their lifetime buy one. Many people know that smoking is bad for them but do it anyway. And many people have been intending to pay their car tax but just don’t get round to it. That’s the question asked by the UK Government’s ‘nudge unit’ (otherwise known as the cabinet office's behavioural insights team). The small team of academics, mostly economists and psychologists, was set up in 2010 to encourage people to make better choices for themselves, in turn saving the state lots of money. The unit has had considerable success, trialling adjustments to the way choices are presented to ‘nudge’ people towards better behaviour like paying tax and court fines. Now plans are in place to start a joint-venture company, owned by the government, a private investor, and the staff themselves. The ideas are often simple, based on a better understanding of people’s motivations for doing – or not doing – something. For years governments have been trying to give people money to insulate their houses and reduce energy consumption. But what the nudge unit realised was that money wasn’t the problem; it was the clutter in people’s lofts. When the incentive was changed to subsidised loft clearance with unwanted belongings taken to the charity shop on the condition that they got the loft insulated afterwards, people loved it and uptake tripled. If the insulation was subsidised as well, the increase was fivefold. Another trial found that applying social pressure worked: people were more likely to repay income tax if the reminder letter included a startling statistic: that most people living in the recipient's town had already paid. 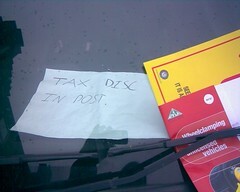 Personalising consequences also worked: people were more likely to pay their road tax if the letter included an image of their own car in danger of being clamped and towed away. But even if someone’s attitude towards the behaviour is strong, he or she still needs to have the ability to carry out the behaviour. The nudge unit’s response? Keep it simple. By using simple messages and processes, people feel more able – and probably are more able – to carry out the intended behaviour. Consumer behaviour theory in practice!